The strategy is meant to scatter the attention of the National Rifle Association [NRA] which has been known to aggressively sue municipalities over gun ordinances. “If we can get 50 to 100 to even more cities, [the NRA is] fighting on a front all across the state of Pennsylvania, all across the country,” Councilman Corey O’Connor told about 50 residents Wednesday night at an event hosted by CeaseFirePA. 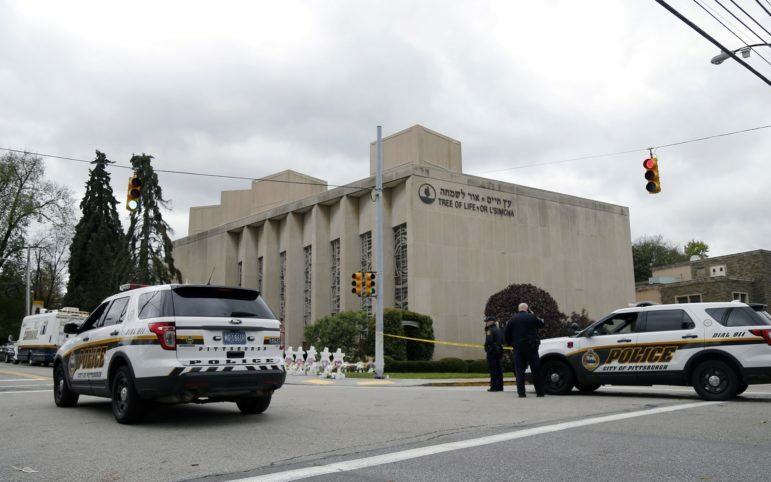 Pittsburgh council members vowed to enact local gun laws in the days following the Oct. 27 mass shooting at the synagogue in Squirrel Hill. In doing so, the city would be knowingly shrugging statewide prohibitions on local gun rules and inviting fierce legal opposition from the NRA. No details on the legislation have been released. 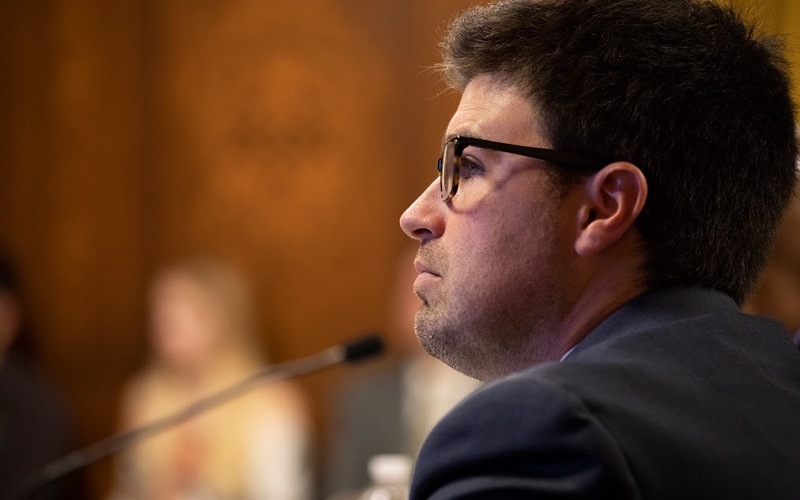 A fourth potential bill, which would relate to background checks, may also be included, O’Connor said at Wednesday’s event at Winchester Thurston School in Shadyside. Gunman Robert Bowers killed 11 people at Tree of Life. He was armed with an AR-15 assault-style rifle and three handguns, all purchased legally. The NRA unsuccessfully sued Pittsburgh twice over a 2008 ordinance requiring gun owners to tell authorities if they realize their weapons are lost or stolen. (The ordinance remains on the books but is not enforced). “This is going to be a tough fight for Pittsburgh,” said Shira Goodman, executive director of CeaseFirePA, a statewide advocacy group focused on reducing gun violence. A call seeking comment from the NRA was not returned Thursday morning. Pittsburgh, along with Philadelphia, passed an ordinance in the early 1990s to regulate some assault weapons. State lawmakers responded by amending the Uniform Firearms Act to explicitly prohibit local control. In 2014, the state Legislature passed a law to lower barriers for groups like the NRA to sue municipalities over gun laws. That law was thrown out on a technicality. New versions were introduced in the statehouse but did not pass. Opposition is built into Pittsburgh’s strategy. If sued, O’Connor said the goal is to take the case to the Pennsylvania Supreme Court, which he believes could be sympathetic to Pittsburgh. Recently, Pennsylvania passed a law to more aggressively take firearms from gun owners who have a domestic violence conviction or are the subject of a protection-from-abuse order. That is a break from the norm in a largely conservative statehouse. O’Connor is hopeful, however, that Pittsburgh’s planned “extreme risk protection” bill could be passed as a statewide measure. Rep. Todd Stephens, R-Montgomery, in a recent bill proposed creating a legal process to temporarily take firearms from individuals if they are deemed to be at risk of harming themselves or others. The NRA opposed the bill. In Pittsburgh, a formal announcement of local bills is planned for Dec. 14 — the six-year anniversary of the 2012 mass shooting at Sandy Hook Elementary. The mid-February deadline closely coincides with the one-year anniversary of the mass shooting in Parkland, Fla. Meanwhile, O’Connor said he’s called leaders in more than 30 Pennsylvania municipalities, hoping they will join ranks. Some were supportive, he said. Nationally, Pittsburgh is seeking allies in cities that have seen the damage of gun violence. O’Connor didn’t list cities but said he spoke with Atlanta’s city council president on Wednesday. On Thursday, in between council budget hearings, Councilwoman Erika Strassburger said having several municipalities introducing multiple bills is key. She hadn't yet heard from any municipalities in Allegheny County interested in joining the effort but said officials were reaching out to every third-class city in Pennsylvania. Third-class cities are allowed to govern themselves by a home rule charter and other means, but the state limits the types of laws they can pass. Harrisburg, Allentown, Johnstown and Erie are all considered third-class cities, along with 49 others in the state. Tim McNulty, the mayor’s spokesman, said administration officials are reaching out to cities that have experienced mass shootings, including Parkland, Fla.; Aurora, Colo.; Newtown Conn.; Sutherland Springs, Texas; Orlando and Las Vegas. Those cities haven't committed to introducing legislation similar to Pittsburgh, McNulty said, but conversations are ongoing. Pittsburgh's Law Department is also reviewing possible legislation because the bills will likely draw legal challenges. Strassburger added that council is planning to introduce a Will of Council proclamation that will ask the state for permission to pass gun laws. She acknowledges the need for change beyond Pittsburgh’s borders. "We fully understand there's only so much one municipality can do,” Strassburger said. “If it's one isolated municipality like Pittsburgh banning X, Y or Z, someone going outside of the city...could certainly access these types of firearms and add-ons." PublicSource reporter J. Dale Shoemaker contributed to this report.